This time last year I was preparing for a challenging aerobic goal. Not it wasn’t a half marathon or the City2Surf. I was training to walk a mile. But not just any mile. A wine mile. 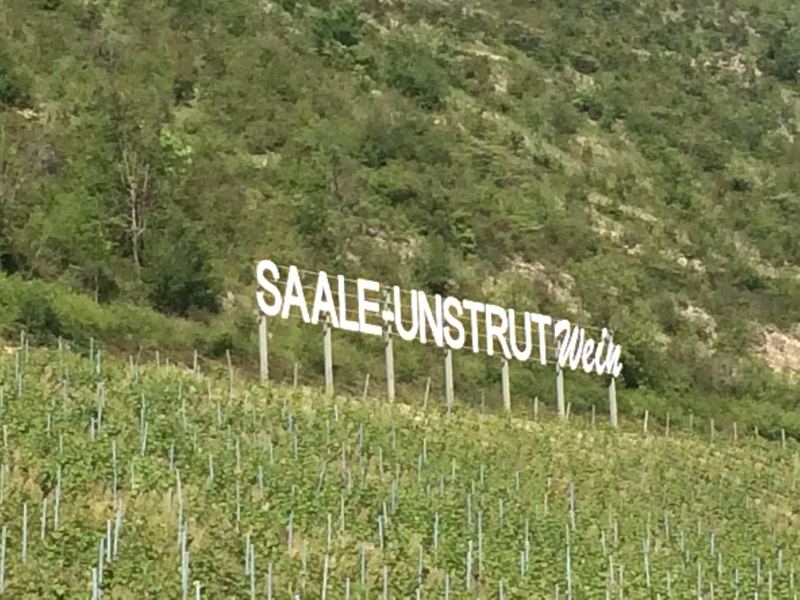 Or Weinmeile to be precise (and Germans are always precise). 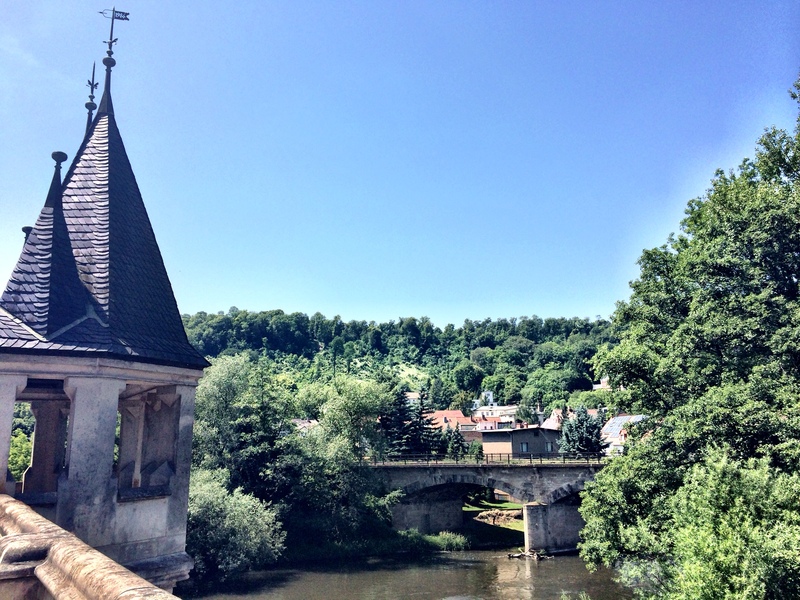 Tucked away in Saxony is the town of Naumburg (not to be confused with Nuremberg), which sits in Germany’s northernmost wine region of Saale-Unstrut. 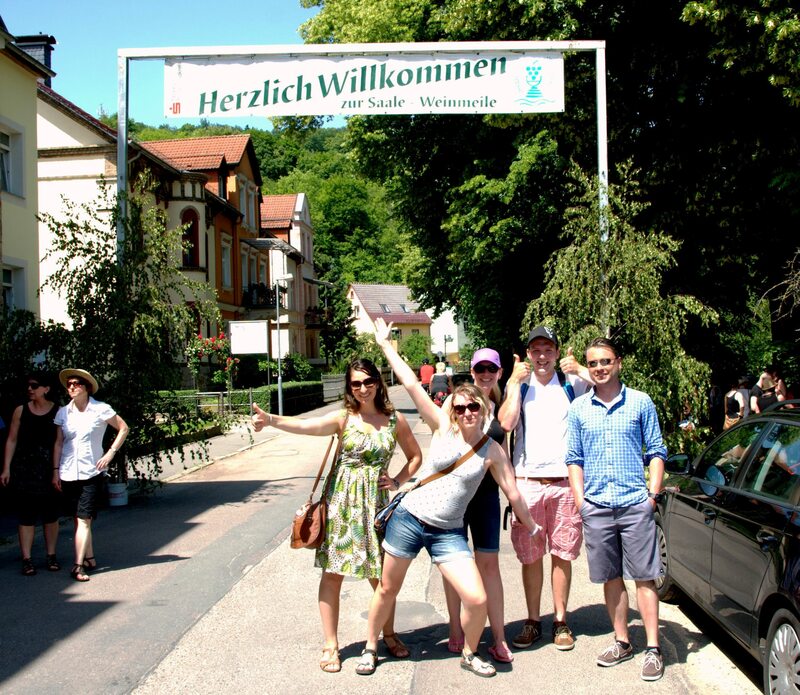 Naumburg is a picturesque medieval town, filled with castles and architectural ruins from its heyday as an important fair and trade centre. 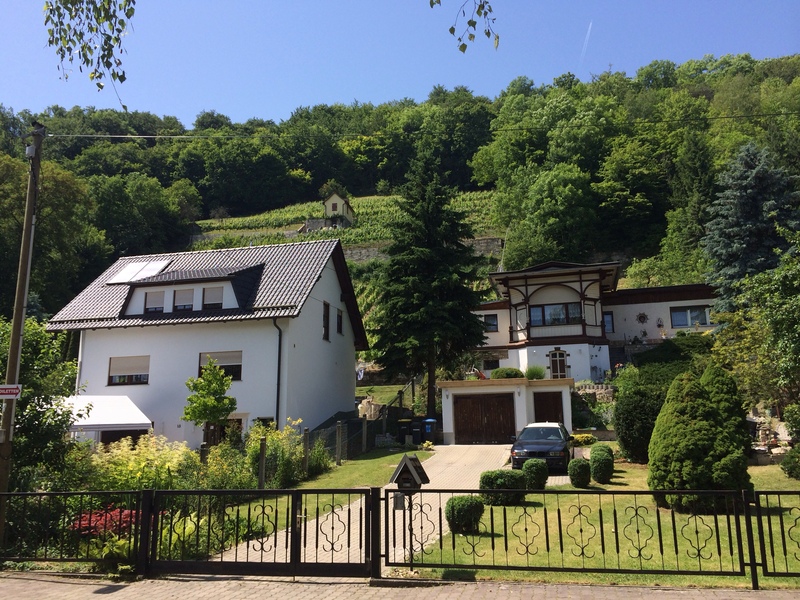 Many people live along the Saale river which runs through the town and most houses have a little vineyard tucked away on the steep slope of their backyard. 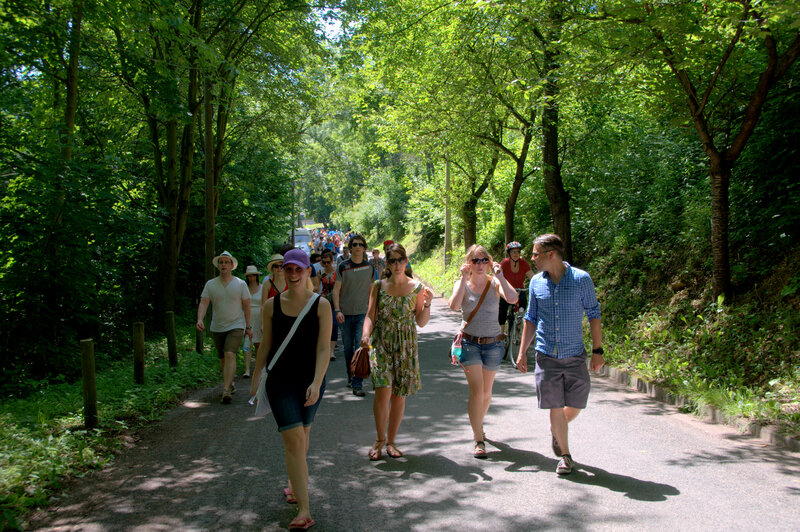 Once a year in June, every household along the river bands together to celebrate the local wine industry by hosting the Saale Weinmeile – a day of walking, drinking and feasting in the sunshine. I was staying with friends Marc and Kathleen in nearby Leipzig when they casually mentioned they’d be taking me to a fun wine event about an hour away. 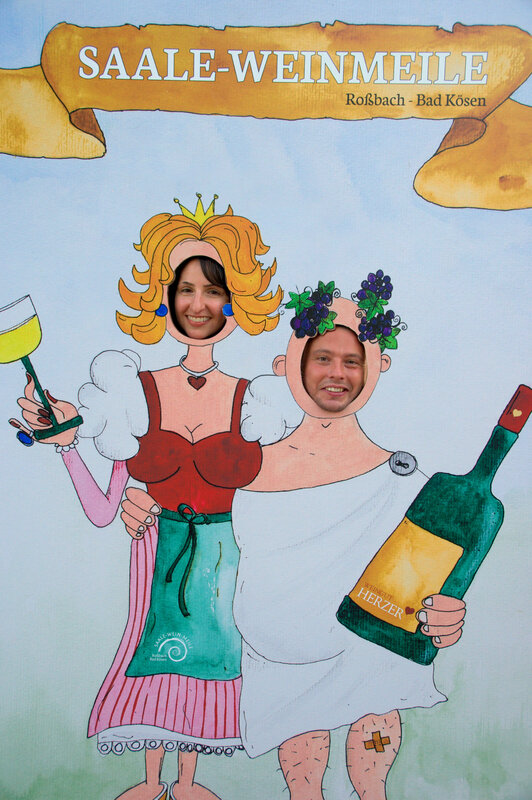 I didn’t realise just how much fun we would end up having (or how much wine we’d end up drinking!). We joined the throngs of people at the starting point, draped with a welcoming banner. 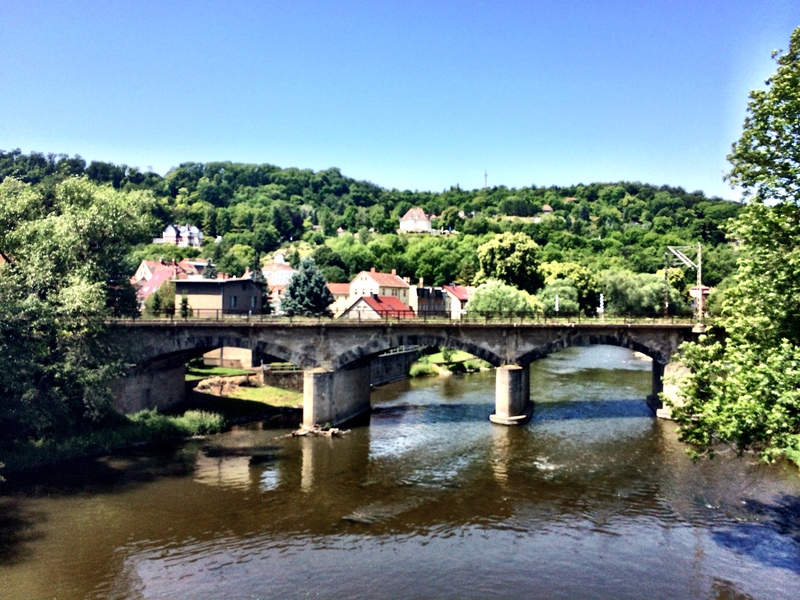 Every house along the river participated in some way – usually with a stand selling glasses and bottles of their homemade wine and food. As a group of six we decided early on that bottles would be our currency and we picked one up every few stands. 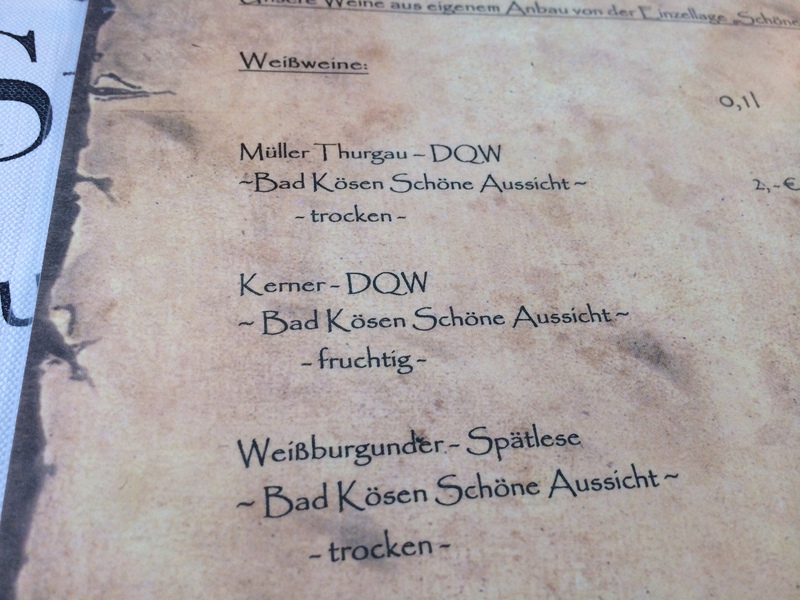 Someone had the clever idea to also kick off with a bratwurst or two to provide some ballast for what lay ahead. It was a scorching hot summer’s day in June so the locally grown crisp white wines that we encountered at every step were an ideal refreshment. The mild climate that comes from the river valley is perfect for cultivating dry white wines with a fruity flavour. 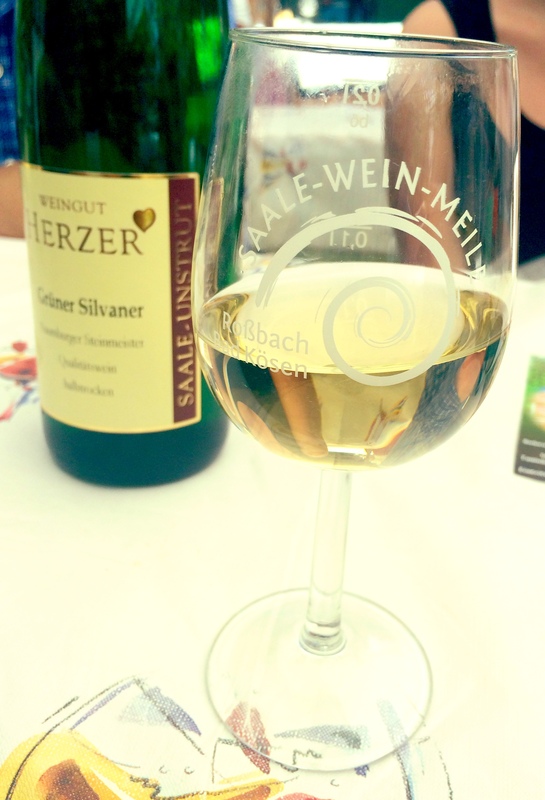 Initially I didn’t recognise a single grape variety but I learnt quickly that Kerner and Müller-Thurgau, followed closely by Grüner Silvaner, were my favourite grape varieties, reminiscent of my perennial favourites Riesling and Gewurztraminer. 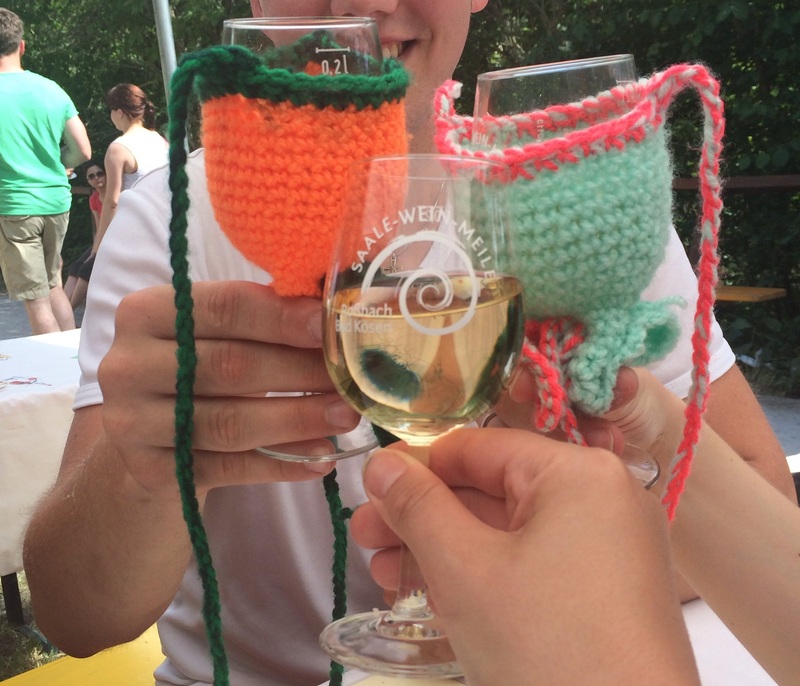 Hand-knitted wine holders – genius! 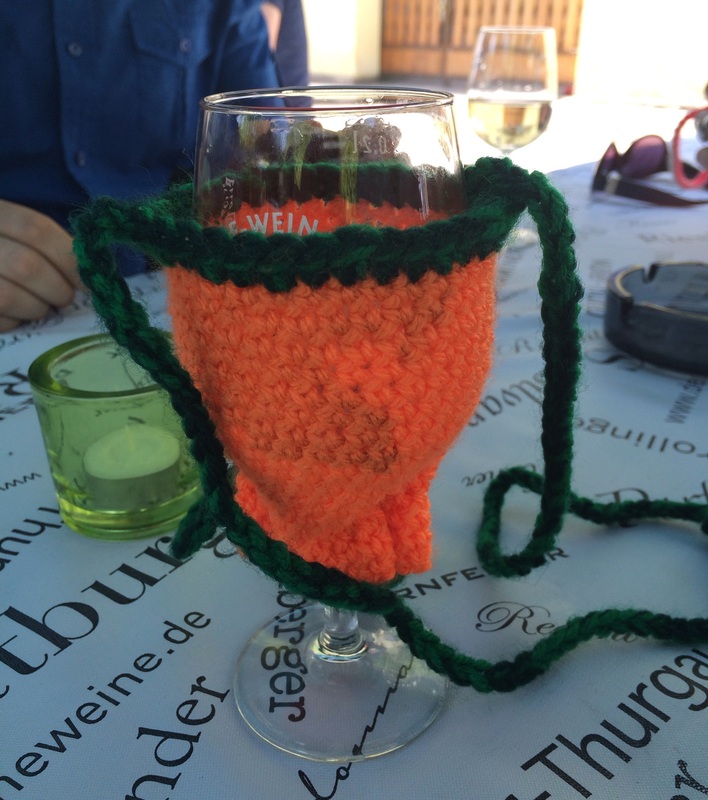 My friends Bjorn and Antonia were such professionals, they brought their own woollen wine glass holders. I was so jealous. Along the journey we encountered plenty of entertainment, professional or otherwise. It was a very convivial setting with people of all ages joining the fun. Dennis and I even took a moment to step into the celebratory dress of the locals. The day was certainly not about efficiency. 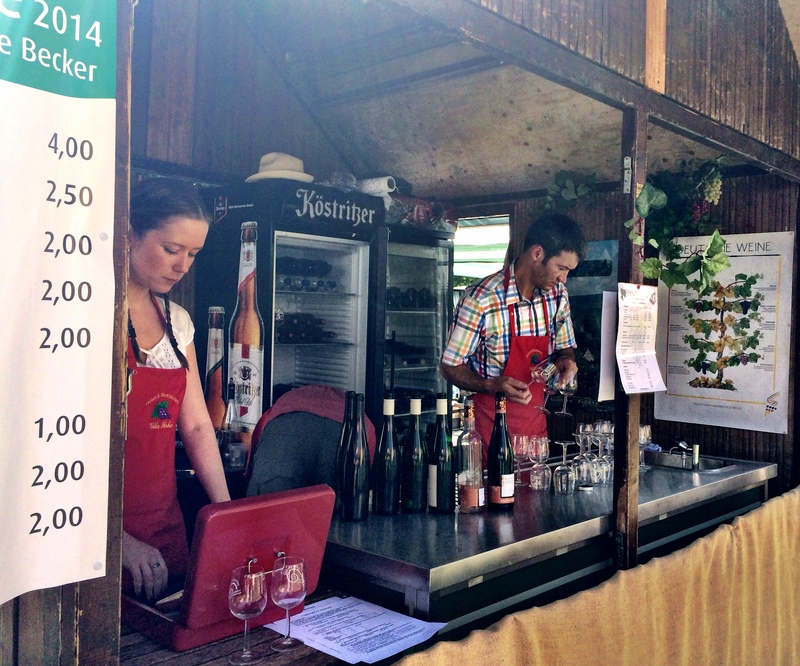 I think it took us about eight hours to complete that single mile, encompassing nearly forty wine stands. But that was to be expected considering we stopped dozens of time for wine, food, more wine, a dip in the river, and then even more wine. It’s such a brilliant concept. Can someone please introduce a wine mile in Sydney? I’m hoping to find someone here who sells them, or perhaps will make me one! Awesome, maybe you can cover SA and I’ll cover NSW!